During cutting of the handles for the bee boxes I had the issue of the z-axis coupling nut slipping. This destroyed one of the sides, as the CNC stopped raising the tool, it ended up cutting all the way through the box. 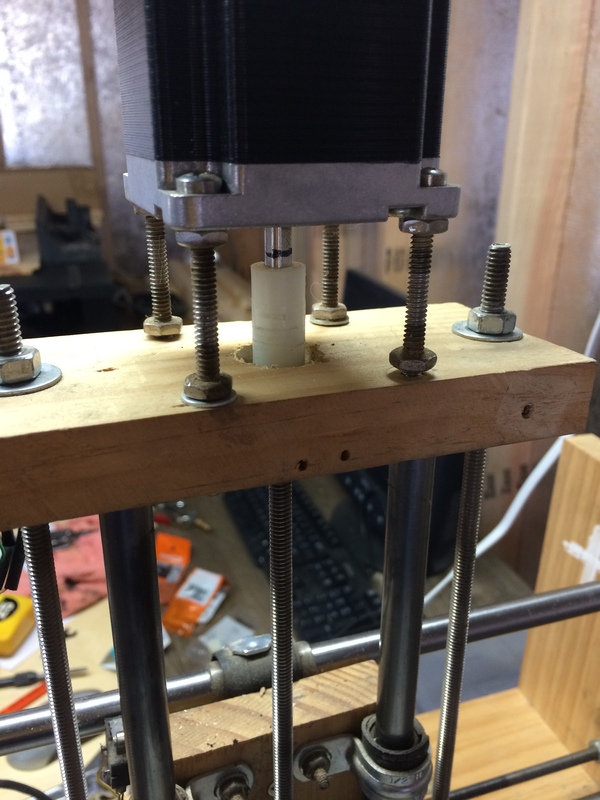 In order to fix this I made my own coupling nut by tapping a 1″ nylon bushing for the threaded rod, and pushing it onto the stepper motor. I have had no issues since I did this. I will try replacing the other two as well. Perhaps I can increase the speed of the movements. This would greatly reduce the necessary cutting time. Christmas is when I get to work making presents. This year I had a request. 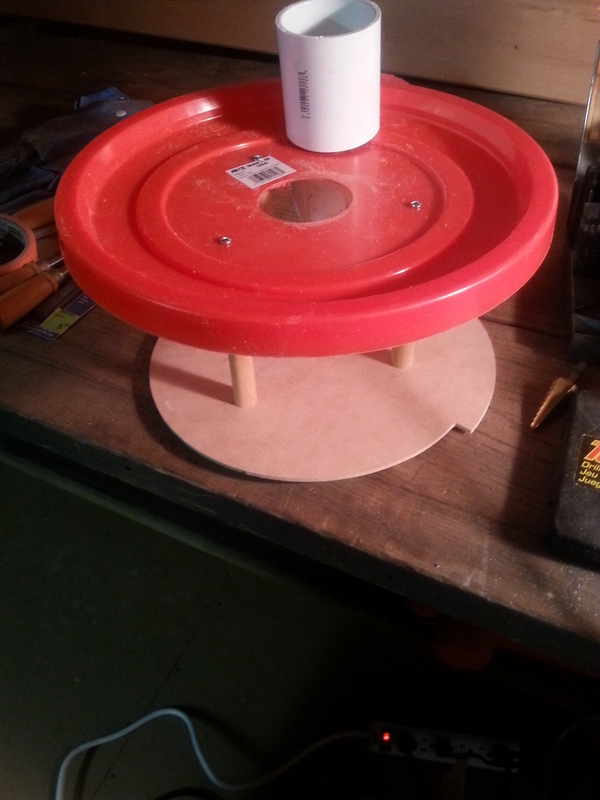 A cake pop stand. Here is the finished product. Its made entirely out of melamine mdf. Easy to clean and no finishing required! Just don’t look too closely at the edges. Hope she likes it, she needs it for a party tonight and its been done for about 10 minutes. 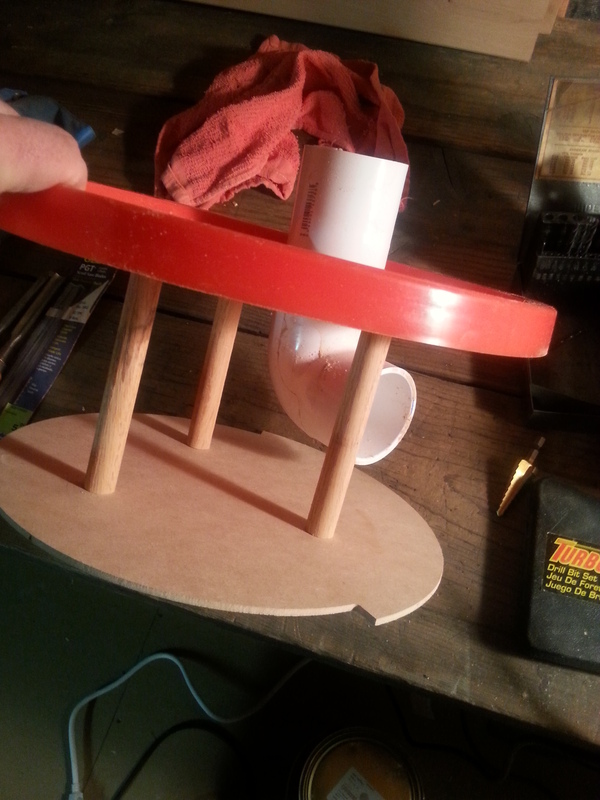 Besides the AWESOME gifts I got this year, I had a great time making a few gifts. Two of them were wooden logic puzzles. 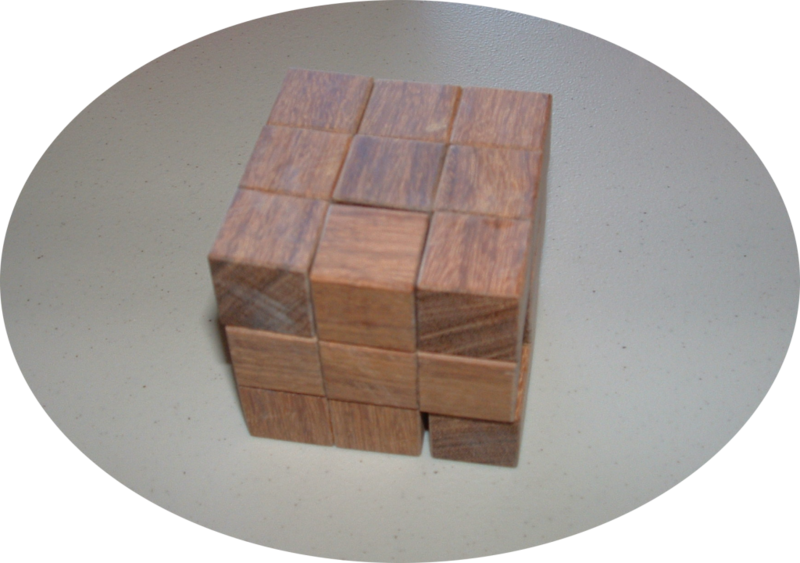 The first one, a ‘Soma Cube’, was discovered by Piet Hein in the mid 1930’s. 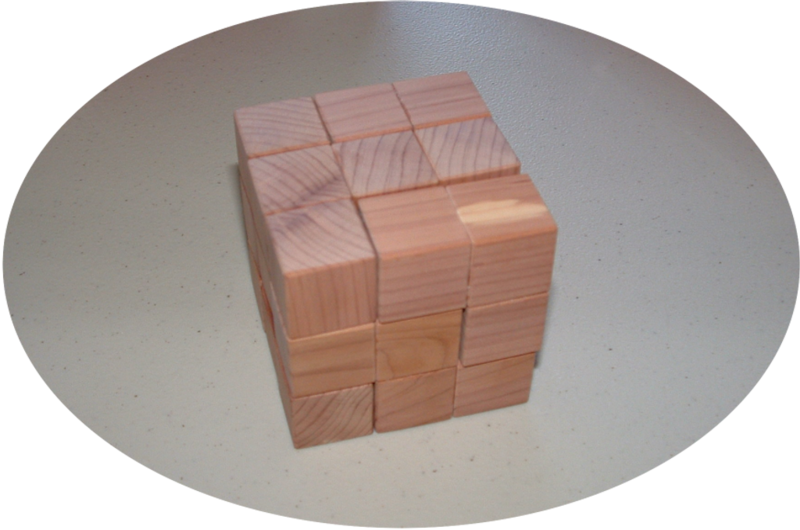 There are exactly 240 unique arrangements of the seven pieces to form a cube. I made this puzzle out of aromatic cedar. 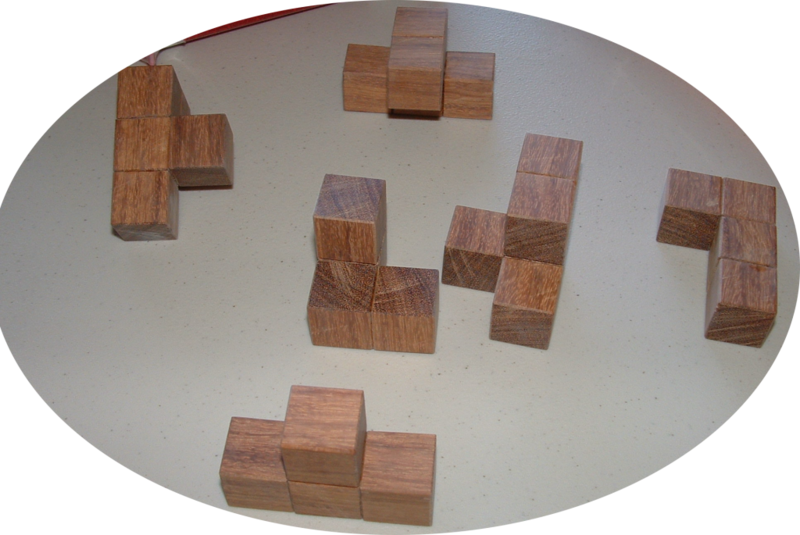 The second puzzle is the ‘Half-hour Puzzle’, created by puzzle-master Stewart Coffin. 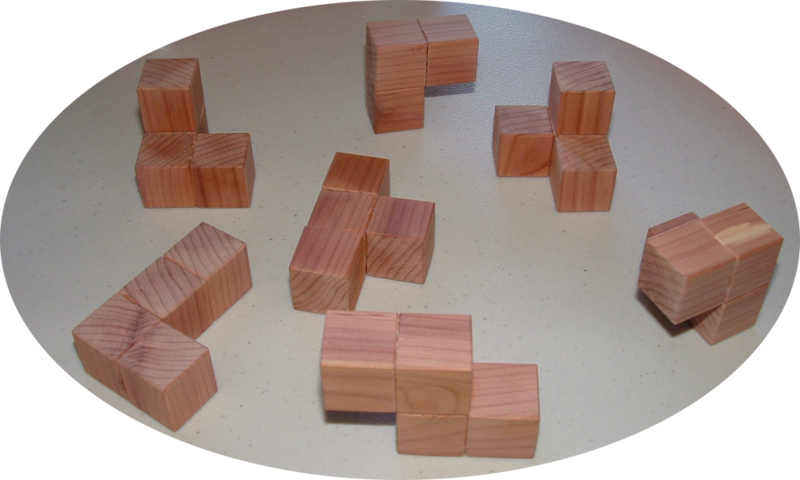 This puzzle is slightly harder than the Soma Cube with only 1 solution for the 6 pieces. I made this puzzle out of cocobolo. I got the plans and instructions on how to make these from this book that Laurie gave me a few years ago for Christmas. These turned out well, and I learned a few tricks to speed up the process. The best part is that the recipient of the first puzzle wasn’t able to put it down all day.